Get outdoors at Royal Botanic Gardens and Melbourne Zoo. Do some cultural sightseeing at Melbourne Museum and St Paul's Cathedral. 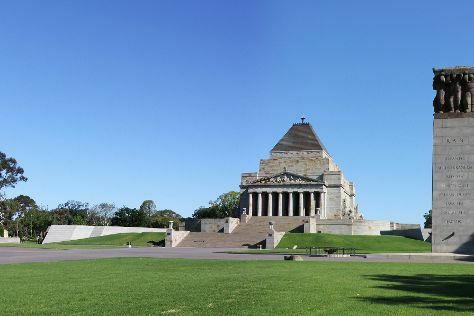 Next up on the itinerary: take an in-depth tour of Shrine of Remembrance, contemplate the long history of St. Patrick's Cathedral, enjoy breathtaking views from Eureka Skydeck 88, and soar above the sights with a balloon tour. To find more things to do, reviews, ratings, and other tourist information, refer to the Melbourne trip planner . Kuala Lumpur, Malaysia to Melbourne is an approximately 11-hour flight. The time zone difference moving from Malaysia Time to Australian Eastern Standard Time (Victoria) is 2 hours. Traveling from Kuala Lumpur in November, you will find days in Melbourne are slightly colder (26°C), and nights are much colder (11°C). Cap off your sightseeing on the 1st (Sun) early enough to travel to Gold Coast. Get outdoors at Burleigh Head National Park and Stand-Up Paddleboarding. 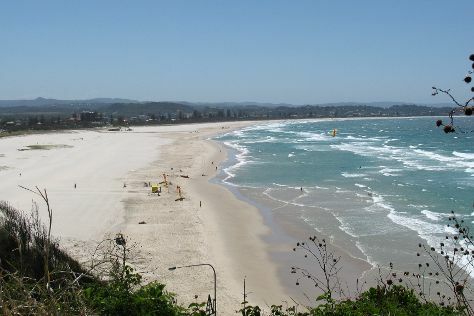 You'll discover tucked-away gems like Kirra Beach and Harbour Town Outlet Shopping Centre. Step out of Gold Coast with an excursion to Bexhill Open Air Cathedral in Bexhill--about 1h 35 min away. Spend the 4th (Wed) exploring nature at Natural Bridge. And it doesn't end there: kick back and relax at Coolangatta Beach, head outdoors with Pelican Feeding, browse the different shops at Robina Town Shopping Centre, and tour the pleasant surroundings at Kurrawa Beach. To find reviews, photos, maps, and other tourist information, read our Gold Coast trip planner .